A superb substrate for rooting cuttings. 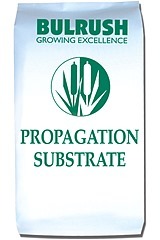 This substrate has been developed using an open grade of peat and low base levels that encourages rapid rooting. Mini controlled release fertiliser granules can be added for longer feed programs. This mix is available as 100% peat.